Mail in Registration is Closed. 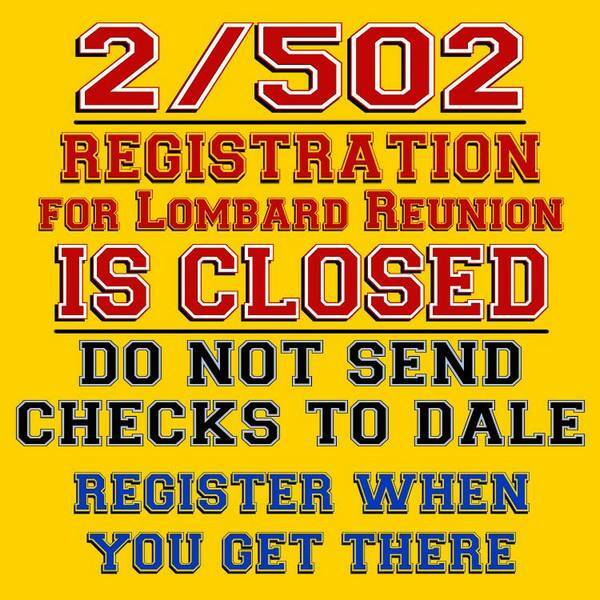 Register when you arrive. Be sure to reserve a room. 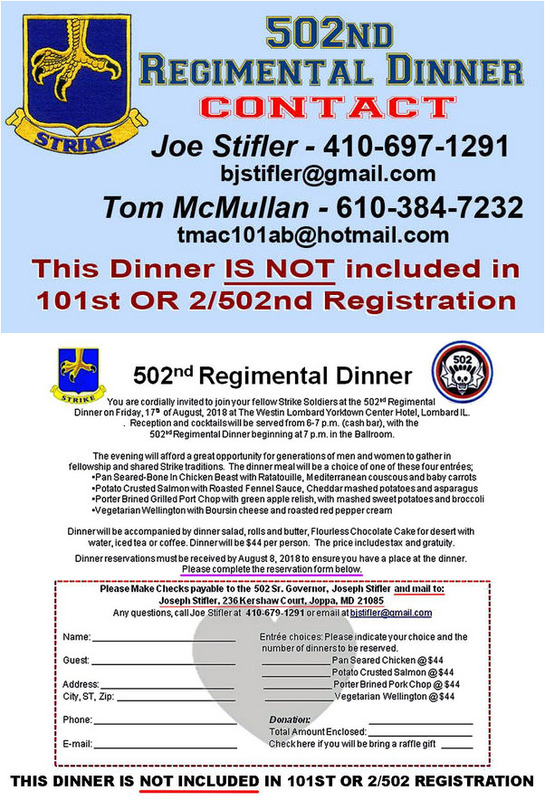 This step is only if you wish to register for the Regimental Dinner in addition to the 2nd502 and Division Registrations. Click on Form Above and save it to your computer, then fill it out and mail it with payment to the address provided. Call your brother troopers and make sure they're coming. Make Sure YOU are coming. Now Listen Up, This is Important. We're all getting older. Every year we lose more brothers. There aren't as many of us as there used to be. And, it takes money, people, and effort to put on a Reunion. There's never any knowing if maybe the next reunion is the last one. Don't put it off. Don't keep telling yourself 'maybe next time'. There might not be a Next Time. The brother you wanted to see may be gone. You may be gone. Or there may not be a 'next one'. You want to see your brothers, and they want to see you. Just DO IT. Do what you can to help out. An event like this costs money. We are getting a break on some costs by linking with the Division. 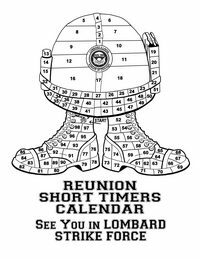 But we are still short of funds to give you the same kind of Reunions we have had, like in Atlanta, Reno, Indy, Nashville and Norfolk. We do not operate in the Black, nor are we in the Red, we usually operate on the Pinkish-Gray line. Even the smallest amount helps and is appreciated.